Introducing the COMMAND YOUR BAGPIPE Video Series! 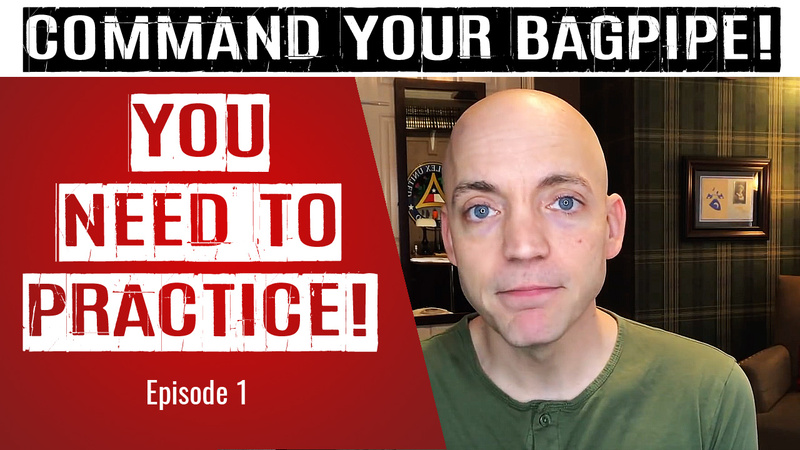 I am thrilled to announce my new video series COMMAND YOUR BAGPIPE! This is design to help pipers of all levels bring their playing up to the next level. I have taught too many workshops where I see dozens of piper s brought to their knees by their instrument. This series is design to help you learn the skills you need to have you command your bagpipe, instead of letting the bagpipe command you! Click here to view the first episode! If you enjoy the video, please consider subscribing to my channel! The more subscribers, the easier it is for me to make more content… I plan on weekly installment for at least the next 7 weeks, and hopefully many, many more after that. I am also regularly posting addition video of me playing tunes on the highland pipes.